This fascinating tour begins with an exploration of two of Santiago’s thriving barrios. 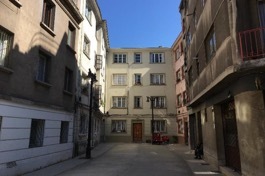 In Chile, the term ‘barrio’ simply refers to a neighbo rhood with a character and identity of its own, and Santiago has plenty to choose from. First stop is the revitalized Barrio Lastarria. 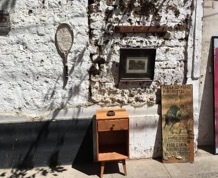 Arguably the mos t fashionable area in the city at present , Lastarria is packed with cafés, boutique hotels, small stores, and a lively restaurant scene. It is also home to the iconic creations of architect Luciano Kulcziewski. We then continue to Barrio Italia, one of the true gems of Santiago. Known for its design stores and antiques restorers, it is also home to trendy cafés and a wide variety of restaurants, from full - on vegan, Spanish and Italian, to gourmet soup. Speaking of which, we ’ ll call into "La Sopería" for a soup and a glass of the classic Chilean cocktail; the pisco sour. We then head towards the foothills of the Andes mountain range. 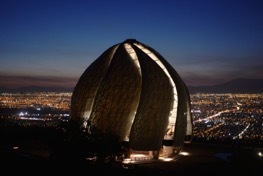 The Baha’i House of Worship of South America open edits doors in 2016 and is one of the city’s architectural gems. Santiago was selected as the first (and only) location for the South American Baha’i temple. With a total cost of US$ 30M, what started as a curiosity has been embraced by its neighbors and the city in general, given its spectacular design. The stunning architecture aside, the temple offers a magnificent vantage point over the sprawling city of Santiago below us. We continue to the Cousiño - Macul winery. 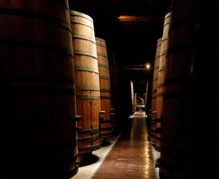 Founded in 1856, Cousiño - Macul is the only active winery from that period that remains in the hands of the founding family. The winery itself is something of a museum, far detached form the shiny, modern wineries of today. After a tour of the grounds and cellars, a tasting of six wines will be offered, accompanied by an expert, providing a true insight into the characteristics of the wines of Chile’s Maipo Valley. At the end of the visit, we will return to the city. Departure is from the Faculty of Industrial Engineering of the Universidad de Chile at 2.00pm. Please meet at the departure point at least 15 minutes earlier to avoid delays. At the end of the tour, there will be drop off points at three different Metro stations for your convenience. 17:15 Guided visit at the Baha’i Temple. ▪ Comfortable walking shoes . ▪ Extra layers for the evening , particularly for the activities at the winery.